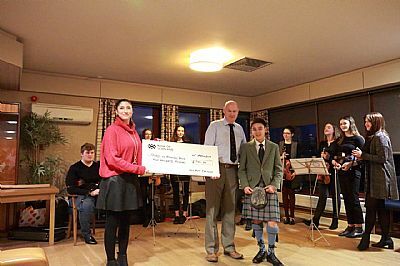 The TVR Car Club of Great Britain kindly made a £500 donation to Friends of Highland Music at their recent Celtic Gathering in Inverness where they held a Black Tie Silent Auction to raise money for charity as part of their weekend of actvities. Dave Greer from FoHM was presented with the large cheque by NE TVR Car Club Regional Organiser Jo Pratsides at a short presentation ahead of the Club's Dinner at Inverness Golf Club on Sunday 10 March 2019. 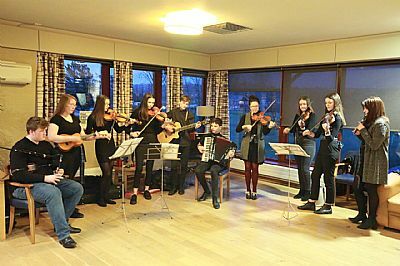 FoHM and friends thanked the TVR Car Club by way of a short musical performance by previous grant recipients Kyle Cameron on pipes, and Astar Ceilidh Band led by Rachel Campbell as can be seen from the images below. The ecellent performances were warmly received by everyone present at the event. 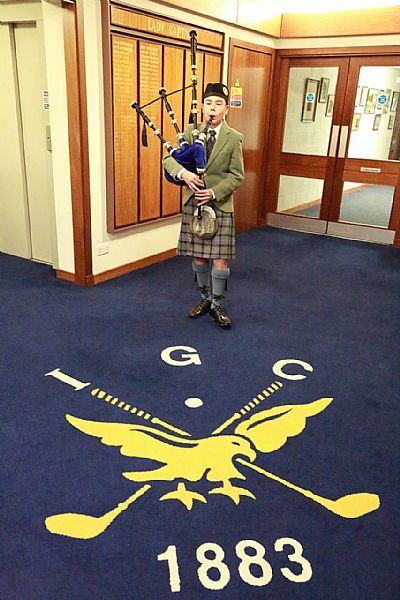 The Annual General Meeting of the Friends of Highland Music was held on Wednesday 13th March 2019 in The Waterside at Glen-Mhor Hotel, Ness Bank, Inverness at 14:00. Twenty FoHM Members attended the Meeting, which included players from the Slow Jam who were also present to provide post-business entertainment. The Meeting was chaired by Convener Moira Leslie and business was concluded by 14:30. Minutes will be available shortly. Whilst refreshments were served, the Slow Jam players gave the attendees a taste of a typical Slow Jam session led by Eric Allan and a number of varied Sets were played which were apparently enjoyed by all.